This week, we are delving into some work around Martin Luther King, Jr. He is such an inspirational figure in American history and a perfect tie-in with our work around leadership, the 7 Habits, goal-setting, and more. Plus, his work is just as important today as it was 50+ years ago. 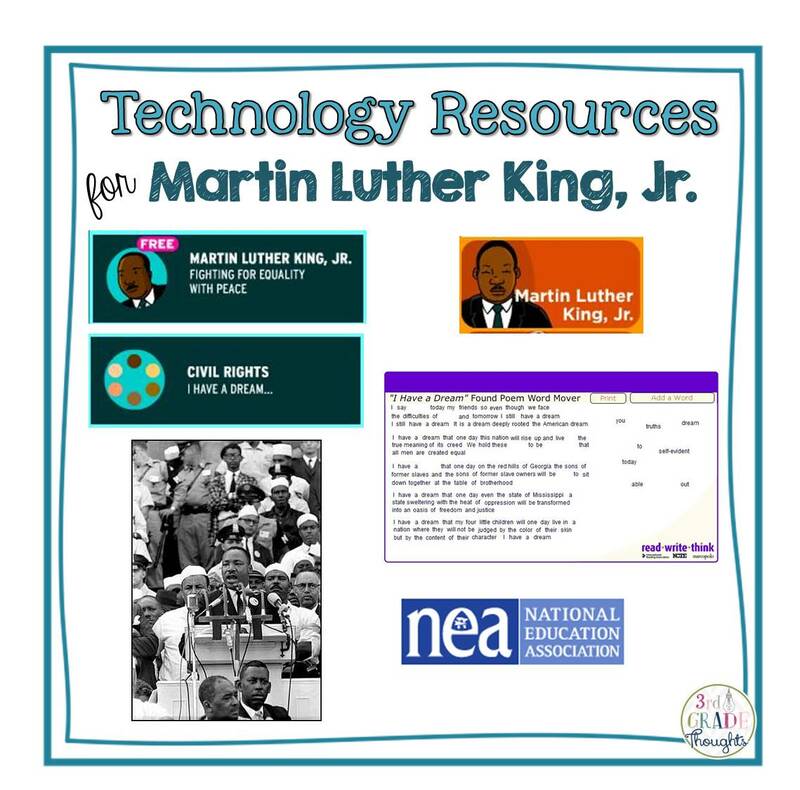 I am excited to share some of my favorite technology resources to help you and your students delve deeper into his work and legacy! These are my old reliables, and I love that BrainPOP also has a separate video on Civil Rights to dig a little deeper into the movement and hear about some other important figures during that time. Each of these movies are short, developmentally appropriate, and come with some fantastic additional resources, like quizzes, vocabulary worksheets, and activities. They are worth exploring and don't worry-- if you don't have a BrainPOP membership, the Martin Luther King, Jr. video is currently *FREE*! 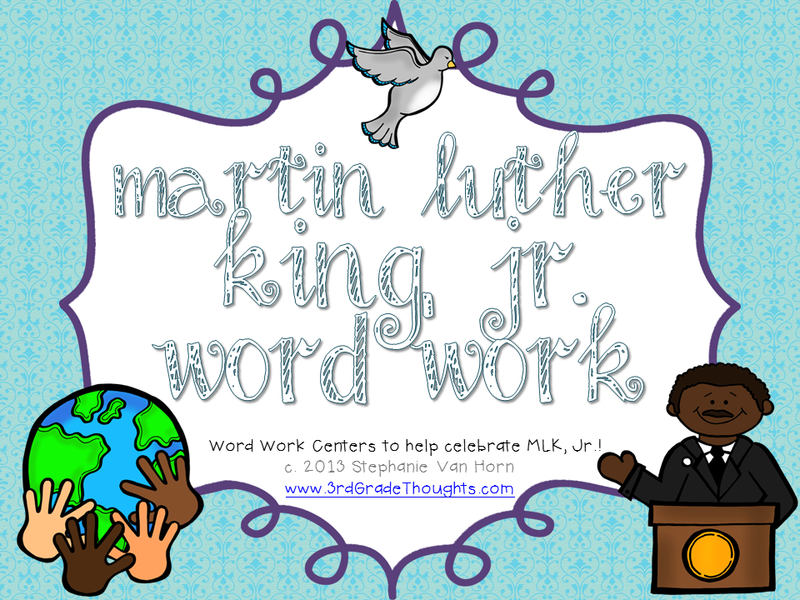 Find Martin Luther King, Jr, videos on BrainPOP HERE and BrainPOP, Jr. HERE. Find the Civil Rights video on BrainPOP HERE. I love this resource since it allows kids to listen to Dr. King speak his famous words as they read along below. This would be a fantastic Listen to Reading activity and gives them the chance to really soak up his words outside of the video of his speech. It's also very cool to listen to him as an orator and really appreciate how gifted he was as a speaker. You could easily print off the speech to reuse in a whole-group setting or to have kids underline or circle as they listen along. So many wonderful possibilities with this site. 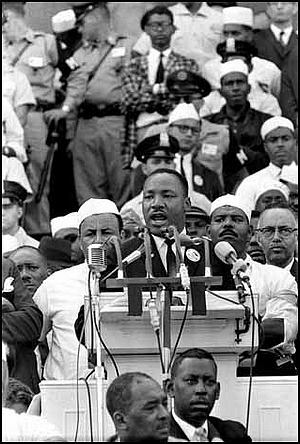 To listen and read Dr. King's "I Have a Dream" Speech, click HERE. ReadWriteThink.org: How Big Are Martin's Words? This is a fantastic follow-up activity to the speech resource above, since it includes lesson plans and an interactive poetry activity all around "found poems" in his "I Have a Dream" speech. ReadWriteThink.org is all standards-based and very well-laid out to make it easy for you to implement these lessons in your classroom. I love the last activity in this lesson: Students will be given an excerpt from Dr. King's speech and they can move and add words to create their own new poems. What a fun and unique activity! To find this Found Poem lesson and resource, click HERE. NEA (National Education Association) has compiled some wonderful K-5 resources that I had to include the entire page! On this site, you will be able to find lessons, resources, quizzes, activities, printables, videos, and more! It's very extensive, but also very well-organized and filtered so you don't have to worry about clicking through a million links to find just a few resources. This would be a great page to bookmark and come back to often this week as you study Dr. King! Find lots of K-5 MLK resources on the NEA website HERE. I hope these resources can strengthen your study of Dr. King this year. 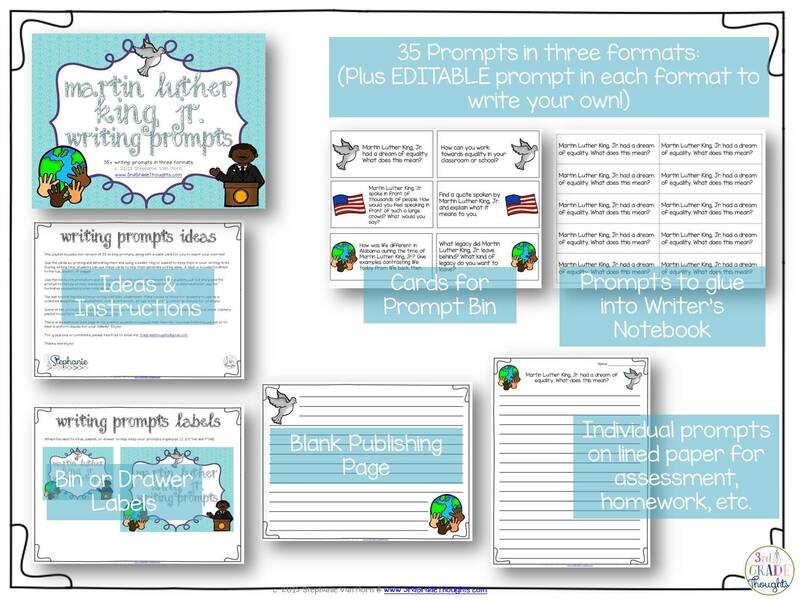 I will be using many of these, along with my Word Work Centers and my newest resource: Writing Prompts! Use the lined pages for formative assessment, early finishers, writing homework, and more! These are going to continue being released for each holiday, so keep you eyes peeled! I moved from the US to Australia, and I'm going to miss celebrating MLK Jr. Maybe I'll still introduce it here! Love what you've gathered & created!